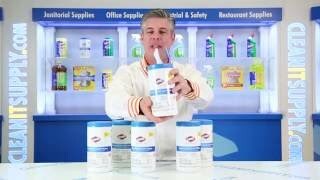 Clorox Germicidal Wipes are EPA-registered to kill a total of 51 microorganisms, including all ESKAPE pathogens in 30 seconds, 30 to 1 minute on 14 viruses, Norovirus in 1 minute, and C. difficile spores, TB and fungi in 3 minutes. 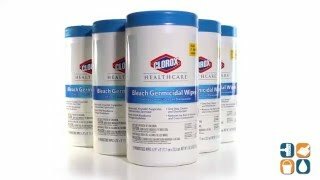 Clorox Healthcare Bleach Germicidal Wipes feature an anticorrosion agent to ensure compatibility with hospital-grade surfaces including stainless steel, porcelain, glass, plastic and glazed ceramic. These powerful wipes are made with a gentle, odor-masking formula and are one-step, ready to use disinfectants with a 1:10 bleach dilution recommended by the CDC. From a brand trusted by more U.S. hospitals to kill C. difficile spores, these wipes are intended for use by healthcare facilities only. Each canister contains 70 wipes and 6 canisters come per carton so you can stock up and save!